See an online appendix for the book. Conventional wisdom holds that the Bush administration was able to convince the American public to support a war in Iraq on the basis of specious claims and a shifting rationale because Democratic politicians decided not to voice opposition and the press simply failed to do its job. 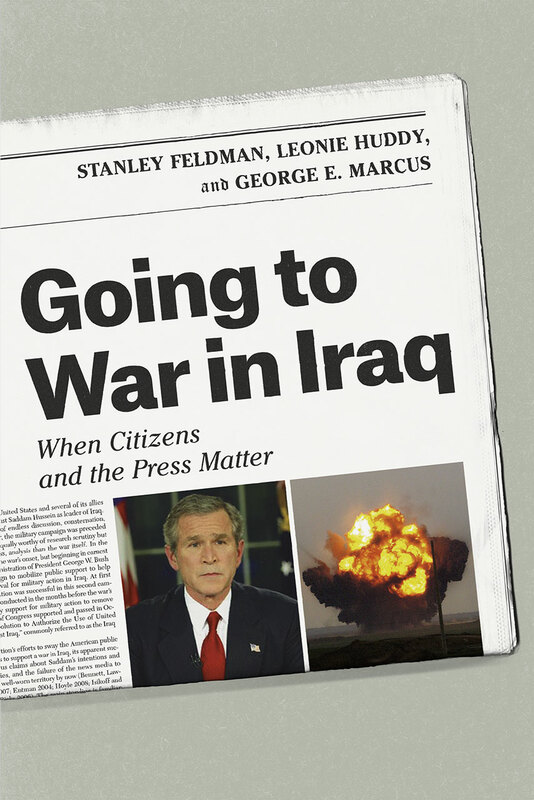 Drawing on the most comprehensive survey of public reactions to the war, Stanley Feldman, Leonie Huddy, and George E. Marcus revisit this critical period and come back with a very different story. Polling data from that critical period shows that the Bush administration’s carefully orchestrated campaign not only failed to raise Republican support for the war but, surprisingly, led Democrats and political independents to increasingly oppose the war at odds with most prominent Democratic leaders. More importantly, the research shows that what constitutes the news matters. People who read the newspaper were more likely to reject the claims coming out of Washington because they were exposed to the sort of high-quality investigative journalism still being written at traditional newspapers. That was not the case for those who got their news from television. Making a case for the crucial role of a press that lives up to the best norms and practices of print journalism, the book lays bare what is at stake for the functioning of democracy—especially in times of crisis—as newspapers increasingly become an endangered species. Chapter 6. Newspaper Content or Newspaper Readers?